Create a better cafeteria experience with faster lunch lines, less waste, and simplified tracking. Our sample free and reduced lunch reports make tracking and reimbursement easy. All EZ School Apps solutions are cloud-based with no hidden fees, zero set-up costs, and a simple web interface for easy navigation. Backed by 25 years of experience, your employees and parents will have the flexibility to order lunch from any computer, phone, or tablet any time of day. There's nothing to install and no additional hardware to purchase. We continuously improve our lunch software to work better for you and we guarantee you’ll always have the latest version without any additional costs. Do you want to know exactly what’s going on in your school’s cafeteria? Are you tired of spreadsheets and ticket/cash-based systems? Do you want detailed reports at the push of a button? Find out how we can help your school today! WHAT ARE THE BENEFITS OF EZ SCHOOL LUNCH POS? It’s simple, more than 400 schools around the country choose us over the competition year after year because we are the most affordable and robust school lunch software solution on the market. We don’t charge per meal and we don’t have any hidden fees or require additional hardware to be purchased. The all-in cost for EZ School Lunch POS is $695 per school year or $1.75 per account per year if your school has more than 400 students. We specialize in smaller private, charter, and/or religious schools and we are more than half the cost of the competition. Note: We offer special discounts for districts with multiple schools. How many students and employees do you have in your school? 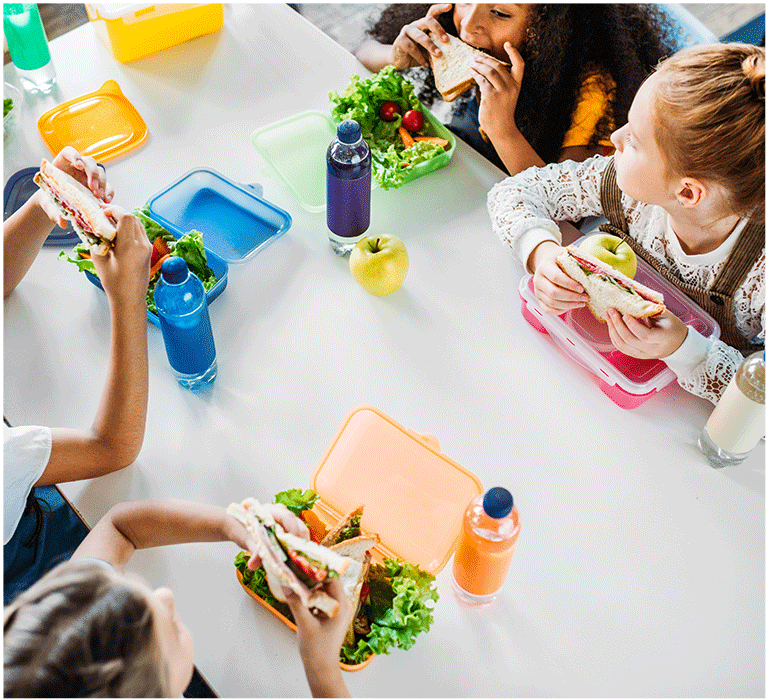 "We looked for years for the right solution that could handle school lunch payments, parent pre-ordering, and homeroom pre-ordering to manage our school lunch process. EZ School Lunch has been everything we had hoped for. We love how easy it is to use, our parents appreciate the flexibility, the customer service is amazing, and given we’re a smaller school, we’re thrilled with the price point." "We have seven schools using EZ School Catering and everyone from parents, to administrators, to the cafeteria staff is very happy with how simple and fast it has made our school lunch process. We needed to be able to have advanced notice for meals so that we could better plan what we’re preparing for our students. The Parent Pre-Ordering feature has really helped with that as well. We also appreciate how easy it is to run reports with the system as we have more than 2300 students and need to track free and reduced lunch counts as well. We would absolutely recommend EZ School Lunch to schools of all sizes." EZ SCHOOL LUNCH POS F.A.Q. Is the software completely cloud based? Yes, our school lunch software is completely cloud based. 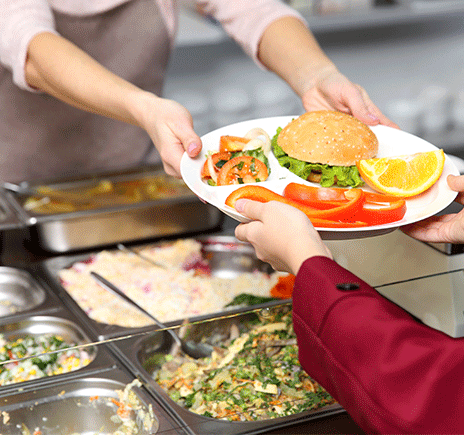 You don't need to purchase any additional hardware to make it work for your School Cafeteria. Is the price the same for public, charter, private schools or even a whole district? We do offer discounts for Districts with multiple Schools, but the price for our school pos system is the same public, charter, private schools: $695 per School year or $1.75 per account per year. There is no limit to the number of students that can be added to the EZ School Lunch POS Software Solution. There is no school size limit. Our software can handle both large districts and small schools. Will I be able to accept and keep track of cash transactions? Yes, you can accept cash, check or credit card and users can preorder, prepay or pay their balance after.